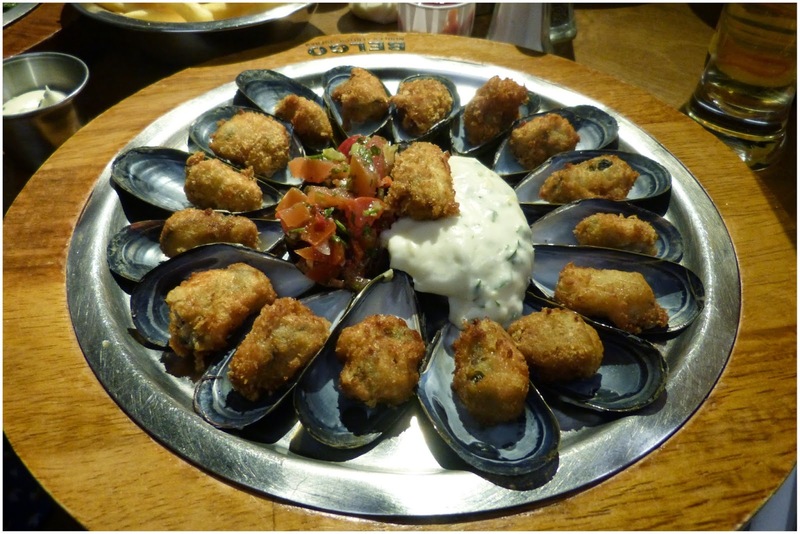 This week's dish of the week comes [vaguely] via Brussels. The girls and I were well overdue a catch up since our mini trip to Brussels [find out what we got up to here]. We'd talked about eating mussels in London a lot while eating mussels in Brussels so it was about time we did something about it. Say hello to: Kakkoii, one of the three moules platters by Belgo described as: mussels in Japanese breadcrumbs with a red chilli tomato salsa and ginger mayo. Not your traditional mussels in a pot with lovely juices but a delicious version with a fun twist.